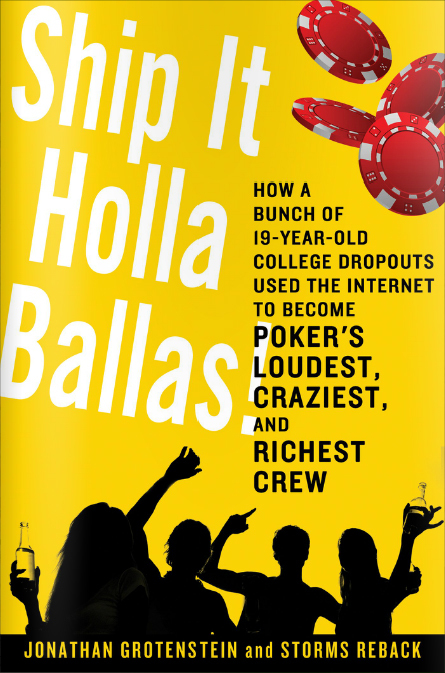 About the same time as the popularity of Facebook began to rocket up, so did online poker’s, paving the way for about a dozen college dropouts and high school kids to seek and put into practice knowledge of poker via the internet. Eager to gain fame and acknowledging the usefulness of the internet in order to do that, Michigan State University dropout ‘Good2cu’ initiated the crew that was to become to be known as Ship It Holla Ballas! A dedicated website was also launched to publish the details of their successes as well as their “outrageous exploits including dancing with strippers, crashing a BMW, and literally swimming with sharks,” the official press release reads. Jonathan Grotenstein is a former professional poker player and the author and co-author of eight books. His first book, Poker: The Real Deal (with Phil Gordon), remains one of the bestselling poker books of all time.